On 25th September 1954 Sir Stirling Moss made his debut for the Lister Motor Company, at Goodwood Revival, racing the Lister Bristol. Although it was Stirling’s first time racing for Lister it was the 284th race of his career. Goodwood circuit is an historic venue for both two and four-wheeled motorsport in the United Kingdom The first race meeting took place on 18 September 1948. The three-day festival is held each September since 1998, for the types of road racing cars and motorcycles that would have competed during the circuit’s original period, from 1948 to 1966. 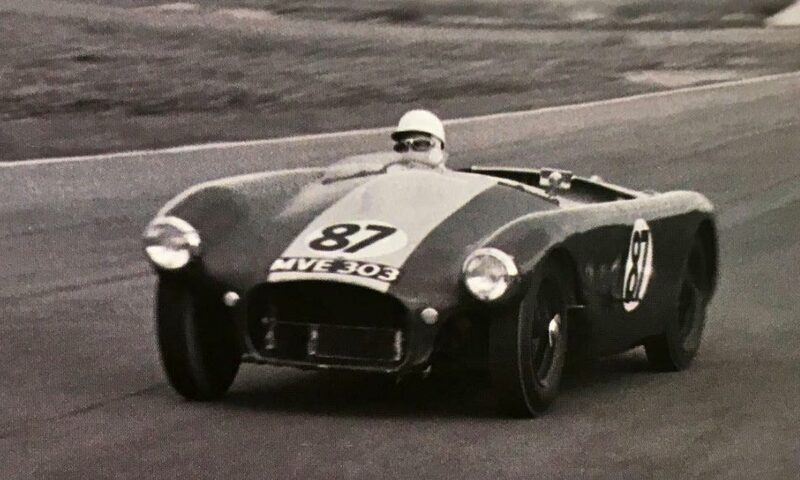 Stirling Moss met Brian Lister in the summer of 1954 at one of the many British races they both attended. They hit it off immediately, and that same year Brian invited Sir Moss to race a Lister Bristol at Goodwood on September 25th 1954. This was just the beginning for Sir Stirling Moss and his historic races for Lister. The Lister Motor Company still holds a permanent sign above the pit lane at Goodwood, as being one of the very first companies to race competitively at the circuit.